Not often do I venture to the city of Chester but considering it’s close to home and from recent experiences, I’ll find myself as a regular visitor very soon. 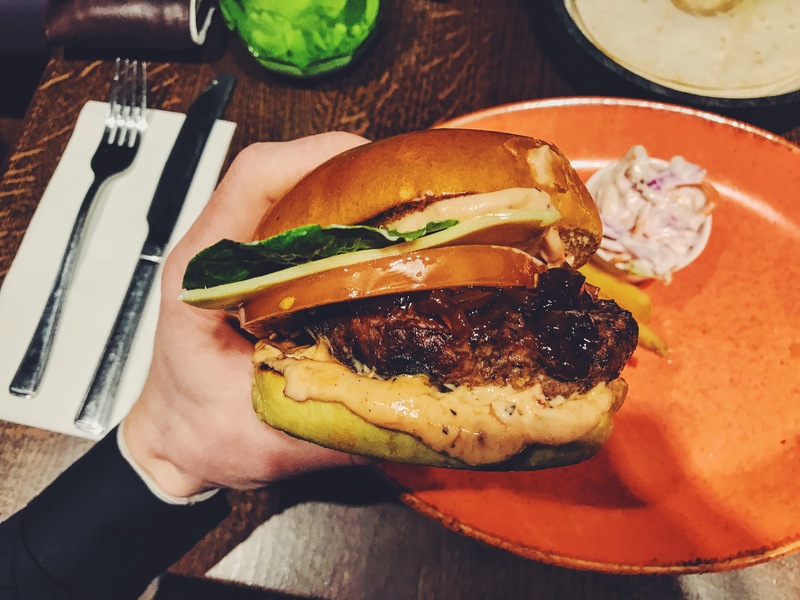 Las Iguanas is quite unordinary and mysterious yet just a typical city restaurant chain providing moderately priced, well constructed meals. 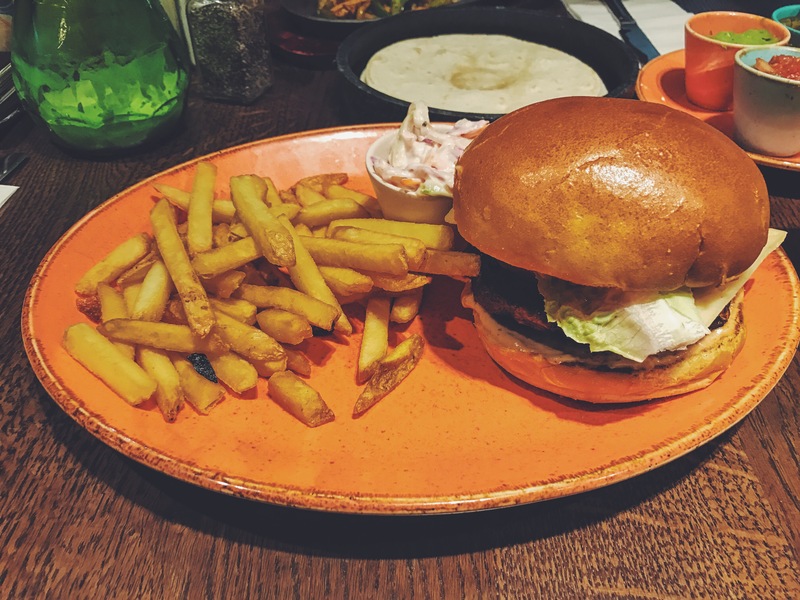 Given Las Iguanas is a Latin American style restaurant they only father two beef burgers, a chicken burger and a black bean burger, this is not adequate Las Iguanas. I confidently went with the ‘Burger’, you heard correctly, it’s called ‘Burger’, it’s ingredients are more interesting, honest. The first bite made me feel like all that mattered was the remaining time I had with the burger. Sounds strange, right? but you haven’t had this burger yet. It was devilishly quiet on the menu and I can’t form words to describe it. After the first bite I was extremely happy because I then knew I had at least another 6 left until it was just an empty plate. I still can’t describe why the burger was so uniquely special, just one of them isn’t enough time to break down it’s attributes. All I know is Las Iguanas should rename it as ‘Everyone should have this before they die burger‘. Burger rating a 9.4 out of 10.